Home > Dining and Gourmet > Desserts > Candylicious: Buy 2 Get 1 Free deal for Hershey’s Nuggets and Brookside Chocolates! 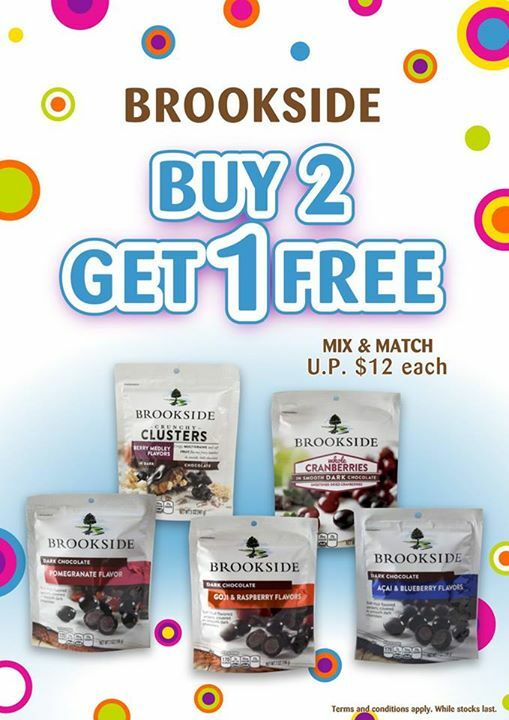 Candylicious: Buy 2 Get 1 Free deal for Hershey’s Nuggets and Brookside Chocolates! Joining the Great Singapore Sale is our Buy 2 Get 1 Free deal for Hershey's Nuggets and Brookside Chocolates! Promotion starts today, available at all three Singapore stores.